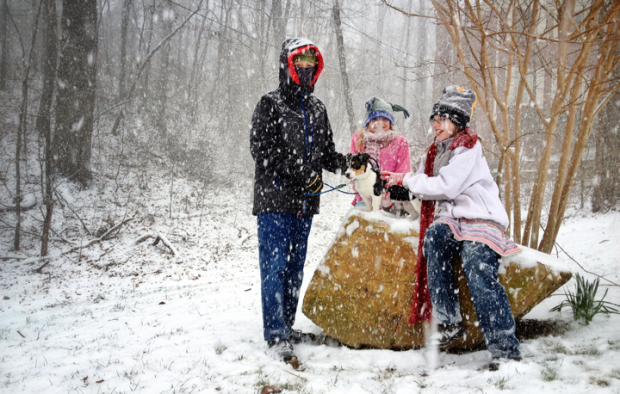 It wasn’t the first time our children had seen snow, but it was pretty much their first experience with seeing it actually come down from the sky and cover the ground. Of course, we had to drop everything and take a walk down the street! Not sure how much more (if any) snow we’ll see, but this hour was magical. Previous Post: Happy Christmas (and New Year)!